I love this shot because of the contrasting commitment of the girls in the foreground when compared to the one in the background. 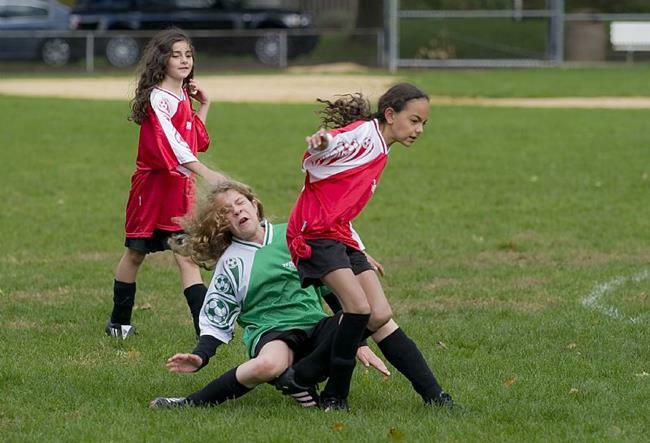 As the girl in green collides with her opponent, grimaces and falls, the girl behind strolls along and fixes her hair. 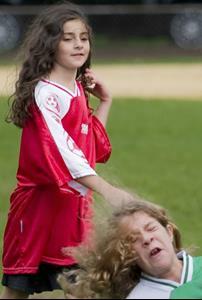 Both play soccer, both enjoy it while having completely different experiences.